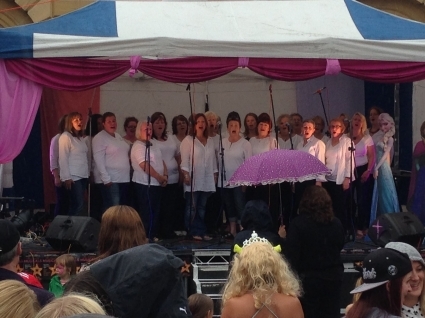 Some of WOAPA's Adult Singing Group performed on stage at this year's Woodstock Carnival. 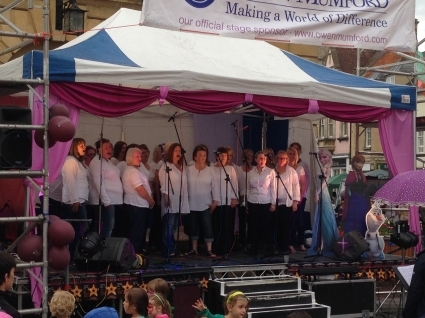 The Carnival's theme this year was 'The Sound of Musicals' and WOAPA's choir from Witney performed songs from 'Hairspray', 'We Will Rock You' and'Sister Act'. See below for video of the performance. 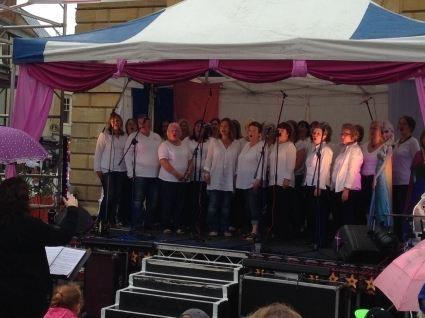 If you like to sing in a choir, but prefer a more fun, relaxed approach, then WOAPA's Witney Choir - Adult Singing Group in Witney is for you. We provide a fun, social evening where you can meet others who like to sing and enjoy music. Our singers attend from local areas like Burford and Brize Norton, Woodstock and Chipping Norton, as well as further afield - from Oxford, Botley, Eynsham and Kidlington.